This is perhaps the part of the Fiesta I was the most excited about: the welcome drinks & bites. 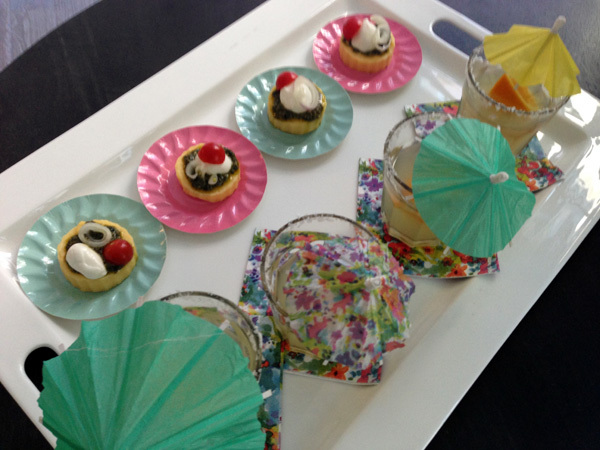 I think it's really nice for guests to be greeted with food & drink right away, so that they can have something easily and get right to saying hello to everyone else. For the drinks I mixed up a batch of classic margaritas. The bites are polenta with pesto, mozzarella, shallots and tomato. 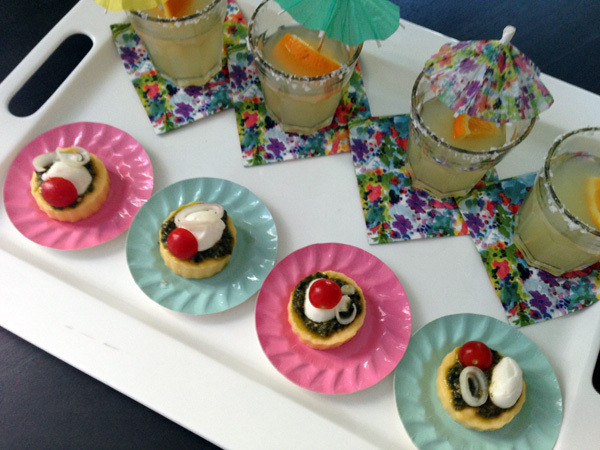 I used more pieces from Shop Sweet Lulu's "Floral Fiesta" line: parasols, tiny appetizer plates, and tiny napkins. The plates and napkins were both approximately 3 inches - perfect for bite sized servings. 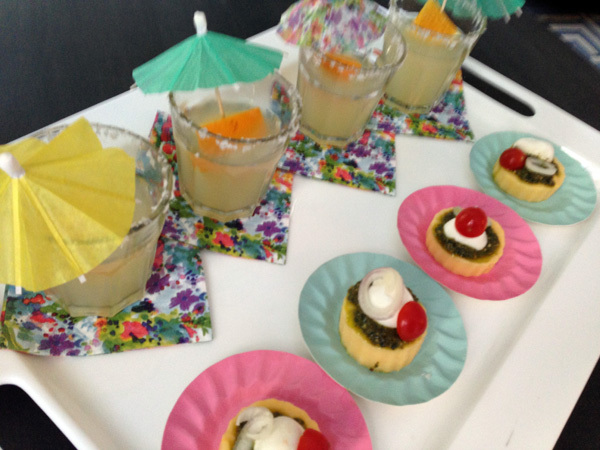 Remember, Shop Sweet Lulu is offering 10% off all this week for A Bar Cart in Brooklyn readers with code "BCBFIESTA"! !